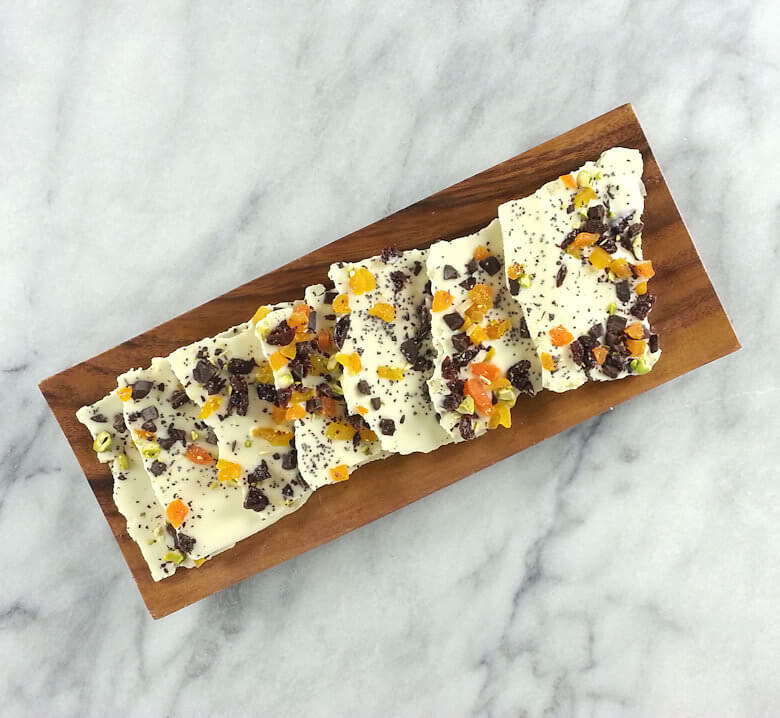 You would think that this Dark & White Chocolate Bark with Colorful Toppings was made specifically for Valentine’s Day – well……….. kind a, but not entirely true. I wanted to make this already for a long time and February 14 was more of a push to get it done. It is by the way a very easy chocolate gift to make and if you want to give something ‘foodie’, make this. 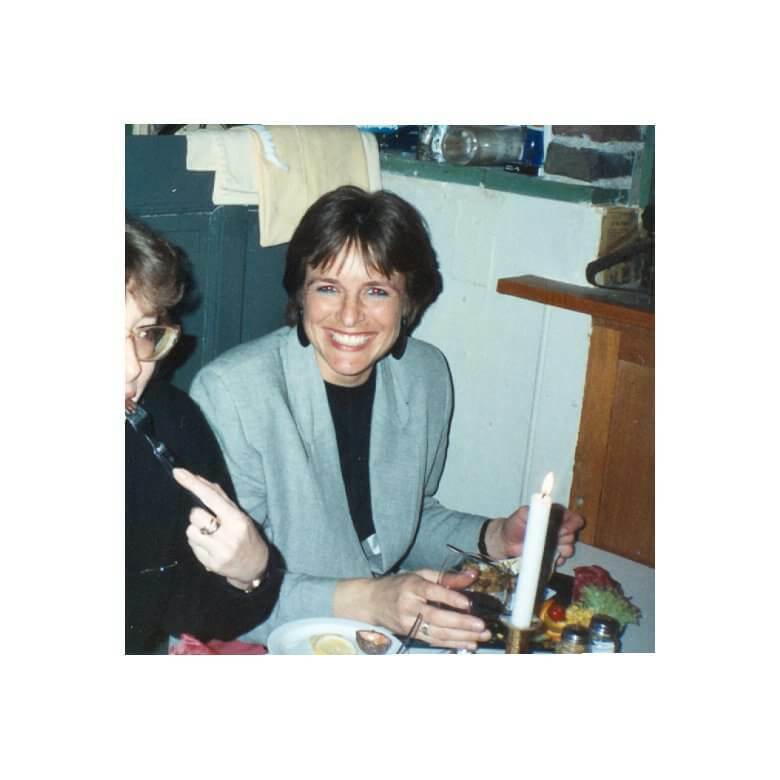 You can do it over the weekend, buy some good chocolate, and take your pick of dried fruit, nuts, seeds and combine nice flavors and colors on top of your chocolate of choice and your Dark or White Chocolate Bark will be ready for Valentine’s Day with you own colorful toppings. 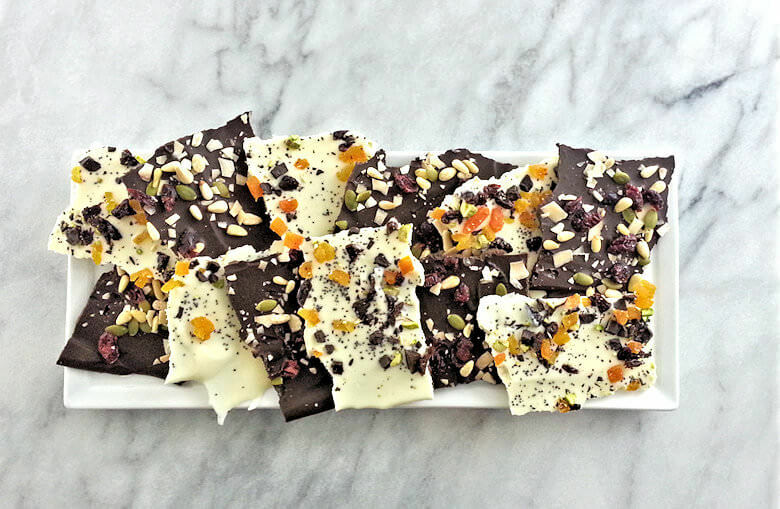 So how about making chocolate bark? Over simplified, you melt chocolate, you spread it out and toss the toppings. OK, first quality chocolate, as with everything in cooking, quality is key. I know quality is very subjective and may depend on what you’re making, so buy the best chocolate you can afford. For this bark I selected white chocolate (not really chocolate in the true sense of the word, because it does not contain any cocoa powder) and dark chocolate. Coming from a country that makes chocolate, I love the really dark chocolate, like 99%, that’s called bitter chocolate. Can’t find that here, so I went for the darkest I could find. Let’s start with making the bark. Line a baking sheet with parchment paper. Cut 2/3 of your chocolate in small pieces and melt that in the microwave or in a bowl in a saucepan with boiling water. I prefer the microwave, because it is much faster, less risk of burning my fingers and no water drops landing in the chocolate. Melt the chocolate and remove the bowl from the microwave and stir to cool it slightly. The temperature of the white chocolate should be 100-110 degrees and the temperature of the dark chocolate 115-120 degrees, milk chocolate is in the middle. Now the chocolate needs to be tempered, this a process that will give your bark a smooth and glossy look and the chocolate will break instead of bend. Add the remaining chocolate pieces to the melted chocolate until another temperature is reached and the pieces have dissolved completely. This will take about 10 minutes and depend on the amount of chocolate you’re making and the temperature of your kitchen. Dark chocolate should reach a temperature of approx. 90 degrees and milk and white chocolate 85 degrees. Stir and make sure all is melted well – Voila – You have tempered chocolate. 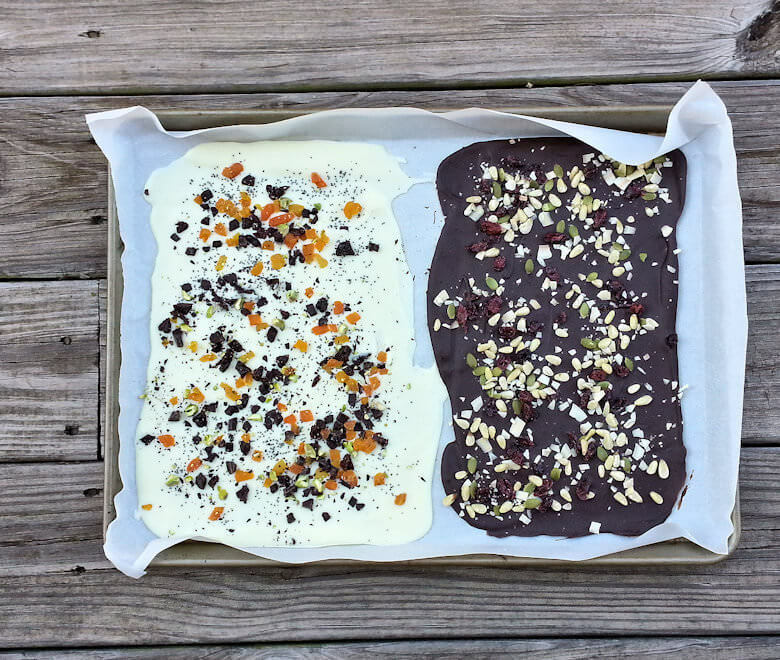 Pour the chocolate on one side of your baking sheet and spread it out, using max. half of your baking sheet. The other half is reserved for the other chocolate. I spread the chocolate thin, because that’s the way I like it. Thin chocolate with loads of toppings is a nice nibble. When the chocolate is too thick it becomes a meal (slightly exaggerated). Thin layers with regard to food often creates a better flavor, in my humble opinion. Icing on a cake should not be too thick, you end up tasting the icing and not the cake; a crust of bread should not be too thick, it may be hard to chew; a slice of cheese should be thin – allows more oxygen to reach the cheese and the flavor will pop. I can continue, but will risk that you will get bored. The one thing I like thickly sliced is freshly baked bread – OMG – the best. OK, we’re getting off course here. So we have spread the chocolate, as thick or thin as you like and now it is time for topping, sprinkles. Use whatever comes to mind. I picked for the white chocolate dried apricots, dried cherries, pistachios, and poppy seed and for the dark chocolate I have dried cranberries, pumpkin seeds, pine nuts, and toasted coconut. In the recipe I have no quantities or weight for the topping, as it is up to you how much you want to sprinkle on top of the chocolates. 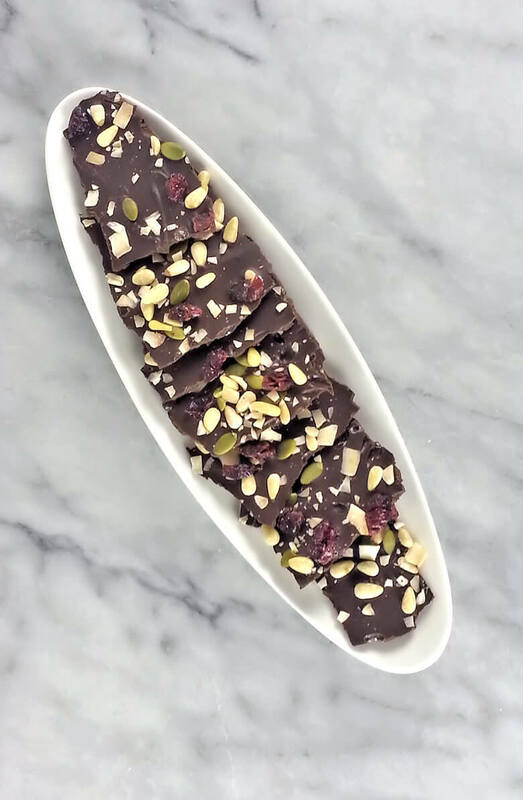 Line a baking sheet with parchment paper and make each chocolate bark separately. Cut toppings in small pieces and mix topping for each chocolate in a bowl. Cut the white chocolate in small pieces. Place chocolate in a heat resistant bowl that will fit in a saucepan. Bring the water to a boil and place bowl in saucepan (bowl should not touch the water). Melt the chocolate and make sure no water gets into the bowl. Gently stir the chocolate until it reaches approx. 100-110 degrees F. Alternatively, you can heat the chocolate in the microwave. Remove bowl from saucepan and add remaining chocolate and fold this into melted chocolate. This will take about 5-10 minutes, depending on the quantity of chocolate you're working with. Temperature should be around 85 degrees for white chocolate. Pour chocolate over half of baking sheet and spread with spatula. Repeat process for your dark chocolate. Melt chocolate until approx. 115-120 degrees and temper chocolate until temperature reaches approx. 90 degrees. Place baking sheet in a cool place or refrigerate. Allow to set for approx. 12 hours before you cut it or break it in pieces.